Mozzarella, cheddar, parmesan, asiago & romano. Since 1962. Real. 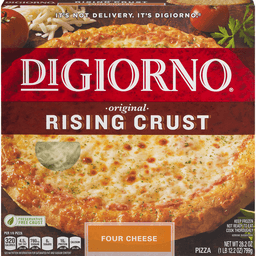 100% real cheese. 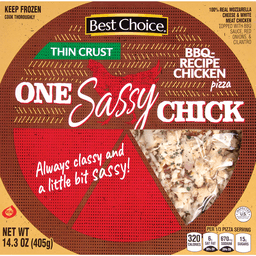 Preservative-free crust. 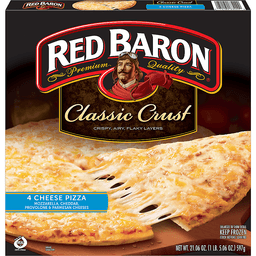 Per 1/4 Pizza: 340 calories; 7 g sat fat (35% DV); 570 mg sodium (24% DV); 3 g sugars; 17 g protein (26% DV); calcium (30% DV). See nutrition information for total fat, sat fat & sodium content. Nestle - Nutritional Compass: Good food, good life. 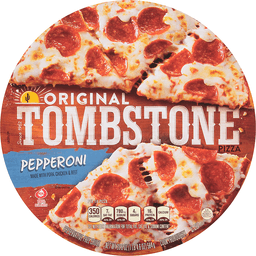 Good to Connect: Tombstonepizza.com. Call or text us at 1-800-558-7343. Please have package available when you call. 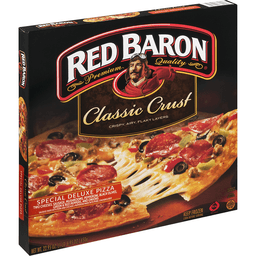 Thoughtful Portion: 1 portion = 1/4 of pizza. A perfect combination is one portion, a fresh salad and great company. 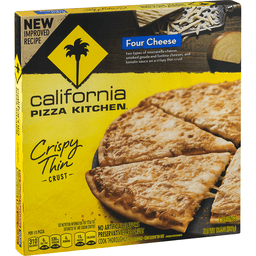 California Pizza Kitchen® Crispy Thin Crust Four Cheese. 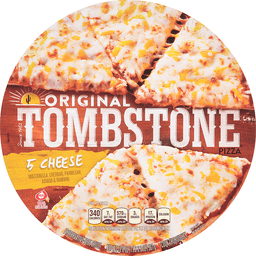 Topped with thoughtfully-selected ingredients. Hickory smoked gouda, fontina & two types of mozzarella cheese over herbed tomato & olive oil sauce. No artificial flavors. 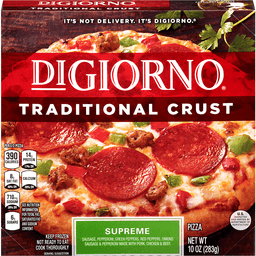 Preservative-free crust. 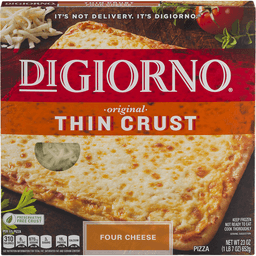 100% Real cheese. Not ready to eat. 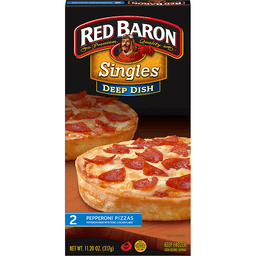 Per 1/3 Pizza: 300 Calories. 8g Sat fat, 40% Dv. 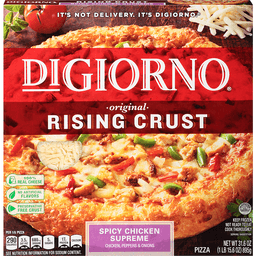 520mg Sodium, 22% DV. 4g Sugars. 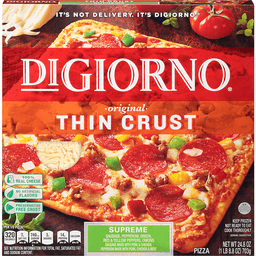 15g Protein, 25% DV. Calcium 30% DV. Net Wt 13.5 oz (382 g). 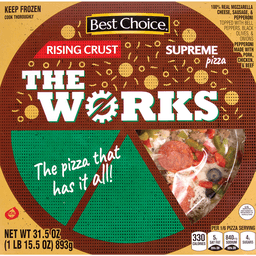 Exploration of exceptional taste: At California Pizza Kitchen®, we search for the best ingredients available, finding inspiration in each carefully crafted cheese, vine-ripened tomato and perfectly balanced pepperoni. The thoughtful creation of recipes and passion for mindful ingredients are at the core of every delicious pizza we offer. So those, like us, who approach food with mindfulness and an adventurous spirit, we hope you just found a delicious new favorite - from our kitchen to yours. For more amazing flavor experience and delicious salad pairing go to CPKfrozen website. Try these other exciting flavors: White recipe. Margherita recipe. BBQ recipe chicken. Sicilian recipe. how2recycle.info. California Pizza Kitchen® is a trademark owned and licensed by CPK Management Company. Please have packaging available when you call. 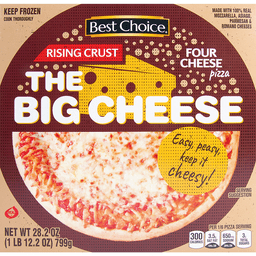 Contact us: Call or Text: 1-888-749-9201 or Visit: www.cpkfrozen.com or www.nestleusa.com. 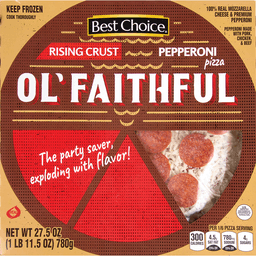 Sausage, pepperoni, mushrooms, roasted pepper & onions with a four cheese blend. 16 g protein. US inspected and passed by Department of Agriculture. 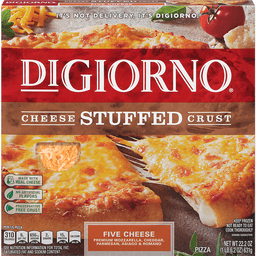 Per Package: 340 calories; 3 g sat fat (15% DV); 470 mg sodium (20% DV); 7 g sugars; 480 mg potassium (14% DV); calcium (10% DV). 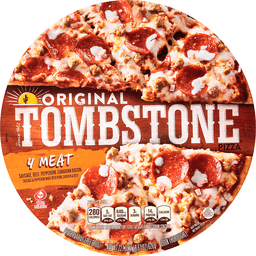 Our Promise: Made with premium quality meat. Fresh baked taste. 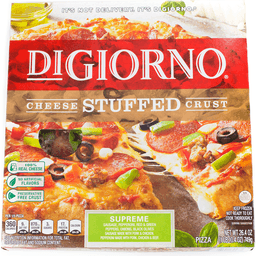 Freshly made, simply frozen. Good food, good life. What's Cooking? 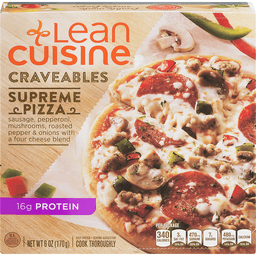 How does Lean Cuisine make delicious so nutritious? Get the Dish: Dishes you can accessorize. This delicious dish is 340 calories, so you can add some extras to maintain a healthy lifestyle. On Your Plate: Need some edible inspiration? Go to meals.com/balance for simple tips on ways to complement your entree with fruits, vegetables and dairy. Lean on Us: leancuisine.com or nestleusa.com. 1-800-993-8625. Facebook. Nutritional compass. PointsPlus: 9. 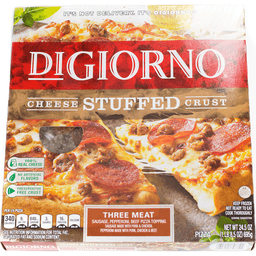 The PointsPlus value for this product was calculated by Nestle USA, Inc. and is provided for informational purposes only. 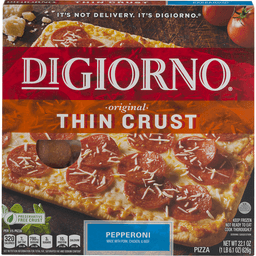 This is not an endorsement, sponsorship or approval of this product or its manufacturer by Weight Watchers International, Inc., the owner of the Weight Watchers and PointsPlus trademarks. 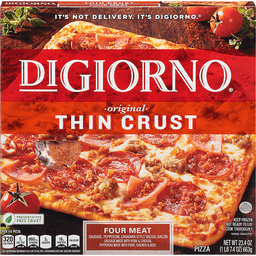 It's not delivery. 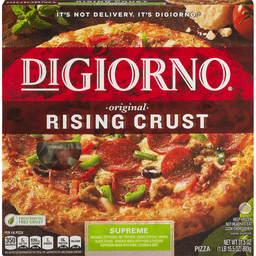 It's DiGiorno. 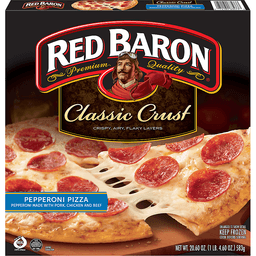 Per 1/2 pizza: 350 calories; 7 g sat fat (35% DV); 600 mg sodium (25% DV); 6 g sugars; 13 g protein (14% DV); calcium (20% DV). See nutrition information for total fat, saturated fat and sodium content. 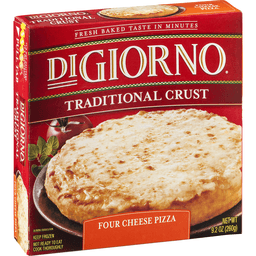 Facebook/DiGiorno. 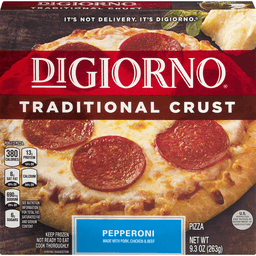 Twitter at DiGiornoPizza. Please recycle this carton. Good food, good life. 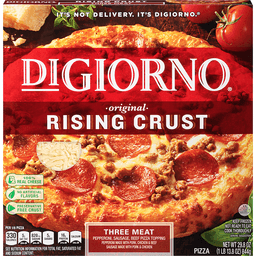 Good to Talk: Call 1-800-708-5580 or visit digiorno.com or nestleusa.com. Please have the package available when you call.